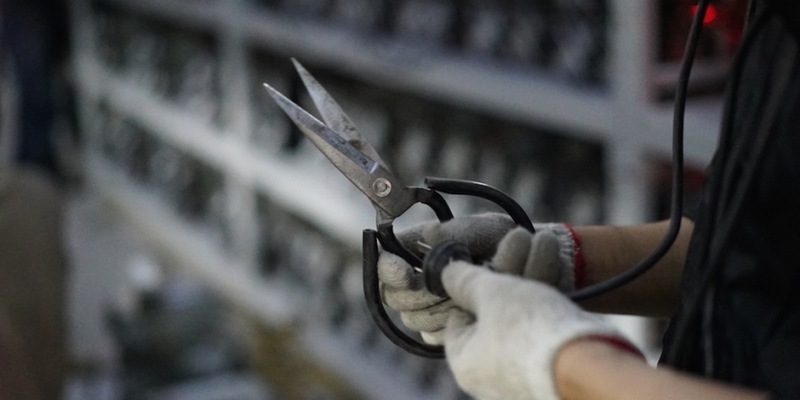 A draft proposal from China’s economic planning commission labels bitcoin mining as an industry that needs to be “eliminated.” But even if finalized in its current form, this would not automatically amount to an outright mining ban. While local governments are supposed to follow the commission’s guidance, to take action against an industry they need a basis in the laws of the state, not industrial policy. Further, there are past examples of “undesirable” industries that were eventually recategorized because phasing them out was found to conflict with local interests. Seizing on this, miners are arguing that eliminating their industry would also conflict with local interests, in part because they soak up excess electricity that would otherwise go to waste. On Sept. 4, 2017, the People’s Bank of China (PBoC), together with six other central government agencies and financial regulators, banned initial coin offerings (ICOs). Later that month, regulators ordered the country’s bitcoin and cryptocurrency exchanges to shut down. And on April 8 of this year, the National Development and Reform Commission (NDRC), China’s top macroeconomic planner and one of 26 cabinet-level agencies which form the State Council, published a draft proposal to amend the Catalog for Guiding Industrial Restructure. The proposed revision, still pending public consultation, classifies “virtual currency mining, such as the production process of bitcoin” as an industry category that’s undesirable and to be eliminated, together with hundreds of other sectors. The news was widely covered, with most media outlets leaping to the conclusion that China now wants to ban cryptocurrency mining, just as it did in 2017 with ICOs and domestic spot trading. But to call this policy a “ban” in the same sense is misleading at best. The reality is more nuanced, and requires additional context to fully understand. Below, CoinDesk takes a close look at the history of the NDRC’s policy recommendations to clarify what this latest guidance really means – and why it does not automatically amount to an outright ban. The NDRC first published its catalog in 2005, grouping industrial sectors into three types – those the agency advises the country to encourage, restrict or eliminate. It defined those to be eliminated as industries that have obsolete techniques, products, and technology, or which are unlawful, unsafe, wasteful or pollutive. The purpose of the catalog is to serve as a macro-level economic policy to guide local governments on how to allocate their investment and resources to balance local economic growth with overall stability. To give such policy a legal status, the State Council promulgated an “Interim Provisions on Promoting Industrial Structure Adjustment” for implementation in December 2005. According to a translation by LexisNexis (full document included at the end of this article), Article 19 of the Interim Provisions clarifies what local governments shall do with industries that are categorized as to be eliminated. Therefore, indeed, local governments are required to take proper actions to implement what’s outlined in the NDRC’s policy guide. Kai Xu, a legal practitioner in China with expertise in corporate governance and compliance, explained to CoinDesk that local governments must use related laws and regulations – not the Interim Provisions itself – as a legal basis to take forceful actions to shut down “undesirable” companies. For instance, the State Administration for Industry and Commerce recently published a provision for administrative penalty when regulating businesses like internet advertising and e-commerce. It outlines who is entitled to take forceful administrative actions against companies violating regulations, what the penalties are and how they should be carried out. He added that the legal nature of the NDRC’s policy is different from that of the ICO ban announced by the central bank in 2017 (which clearly defined the nature of ICOs as an illegal activity, meaning any entity that still engages in that activity is subject to legal actions). “The former is an industry policy and the latter is a departmental regulatory document,” he said. Also importantly, the State Council emphasized at the top of the 2005 Interim Provisions that local governments, when implementing the industrial policy, are also required to balance the government guidance and the functions of the market as well as local interests. Xu told CoinDesk that if the final form of the policy guide includes bitcoin mining as a category to be eliminated, it will be the job of local governments and relevant departments to implement actual executional plans. And members of the local mining community have also raised questions about whether it’s reasonable to label bitcoin mining as an industry to be eliminated, arguing that such a decision could potentially conflict with local interest. Alex Ao, founder of Innosilicon, which manufactures cryptocurrency mining equipment, said in China’s Inner Mongolia, Xinjiang and southwestern provinces like Sichuan and Yunnan, there is excessive electricity generated every year that can neither be fully consumed by local demand nor be integrated to the State Grid to be transmitted to regions outside. For instance, the Garze prefecture government in Sichuan has said that in 2017 alone, hydropower plants in the area generated 41.5 billion kilowatt hours (kWh) of electricity thanks to the rainy season in the summer. But a total excess of 16.3 billion kWh went to waste due to not enough local consumption, which resulted in a direct economic loss of some 4 billion yuan, or $600 million, for local hydropower companies. Tyler Xiong, chief marketing officer of Bixin, which operates a mining pool and wallet service, echoed that sentiment. The public now has until May 7 to submit feedback on the NDRC draft proposal. While it’s unclear when the final version will be published, the draft comes at a time when Chinese bitcoin miners have been investing to scale up their mining capacity to capture on the cheap electricity during the summer. It’s worth noting that the NDRC had published and revised the policy guide multiple times over the past decade. What happened to some of the industries that were previously labeled as to be eliminated? While it is difficult to grasp a full picture of the actual implementation over the years, one article from the People’s Daily in 2006 described certain issues local governments in Hebei encountered when eliminating energy-intensive sectors such as cement manufacturing, following the 2005 policy guide. The article cited a comment from an official from the NDRC, explaining the policy guide was not a legal basis for taking forceful actions to shut down companies. “It must be done in accordance to relevant laws,” the official said, a point echoed by Xu above. In the cement-making instance, the article said most local governments used laws and regulations relating to land resources and environment management as a legal basis for taking actions. And there are also examples where certain items were first marked for elimination, but later removed from the category, thanks to feedback gathered during implementation. For example, in 2011, the production equipment for manufacturing cold-rolled ribbed bar (a material used in construction) was classified as a sector that should be eliminated. In a revised version in 2013, the NDRC adjusted the wording to specify that only certain types of cold-rolled ribbed bar equipment with productivity below a threshold should be eliminated. The NDRC explained in a separate note that the reason for the revision was because during implementation, the industry had provided feedback that there was still a considerable amount of domestic demand for cold-rolled ribbed bar making. After gathering and studying such feedback with relevant government departments, the Commission agreed that some equipment with higher productivity and efficiency should be kept. None of this is to downplay the attitude shown in the policy guide from the NDRC, which clearly voices a stance of not supporting cryptocurrency mining in China. Yet the main questions that are now in the air is whether the final form of the policy will still include bitcoin mining in the “undesirable” category, and if so, how lawmakers and local governments will carry out the implementation – especially when it conflicts with potential local interest.